Video (04:01) : Columnist Chip Scoggins and beat writer Randy Johnson give you a preview of the Gophers football opener and 2018 season. 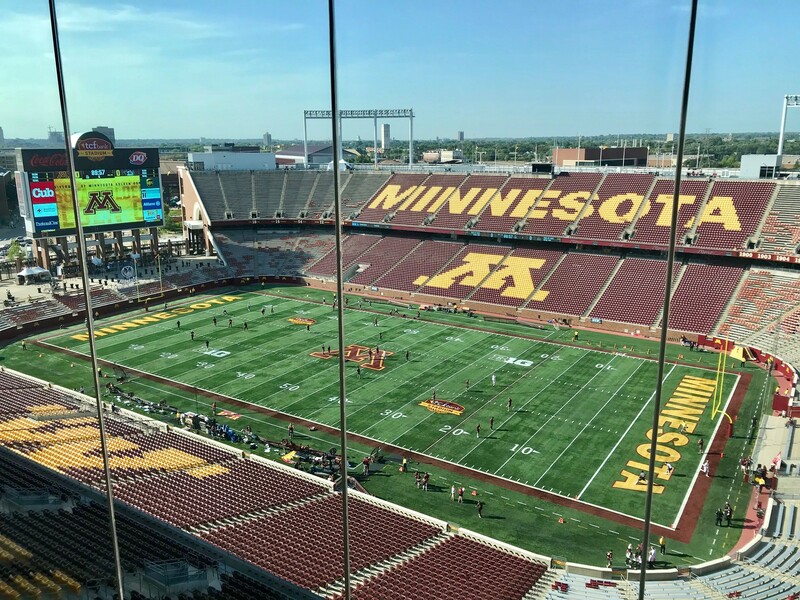 Good afternoon from TCF Bank Stadium on a picture-perfect day, where at 6 p.m. (BTN) the Gophers will open their 2018 season against New Mexico State. Year Two of P.J. Fleck’s Gophers coaching career begins without all the fanfare of his 2017 debut but with plenty of intrigue given the team’s youthful roster. That all begins at quarterback, where true freshman walk-on Zack Annexstad will get the start. The Norseland, Minn., native who played the past two seasons at IMG Academy in Bradenton, Fla., after transferring from Mankato West is believed to be the second walk-on true freshman QB to start a season opener. Baker Mayfield was the first, starting for Texas Tech in 2013 before he transferred to Oklahoma. It’ll be interesting to see the run-pass mix for the Gophers, because they have a seasoned running back in Rodney Smith, and New Mexico State allowed 312 rushing yards to Wyoming on Saturday. But Fleck wants Annexstad to gain experience, so don’t expect the Gophers to play it too close to the vest. Annexstad has a go-to target in junior receiver Tyler Johnson, but another story line to watch is how a trio of freshmen at wideout – Rashod Bateman, Demetrius Douglas and Chris Autman-Bell – develop tonight and the rest of the season. That position group should be a noticeable upgrade from last year. On the offensive line, redshirt freshman Blaise Andries will start at right guard. Fleck was tempted to play the 6-5, 315-pounder last year, but the coach preserved a year of eligibility for Andries, and now we’ll see his potential for the first time. Also an intriguing aspect of the offensive line will be the massive true freshmen from IMG Academy. Curtis Dunlap Jr. (6-5, 370 pounds) and Daniel Faalele (6-9, 400) are the second-team right guard and right tackle, respectively. On defense, the Gophers’ strength will be at linebacker, with Thomas Barber, Blake Cashman and Kamal Martin starting, and Carter Coughlin lining up at rush end. And of course, playmaking safety Antoine Winfield Jr. returns from a hamstring injury that derailed his 2017 season in the fourth game. The secondary will rely on youth, too, where freshman Terell Smith will start at cornerback. Up front, Alabama transfer O.J. Smith, a 6-2, 320-pound defensive tackle, will make his Gophers debut. The Gophers’ punting game will be an area to watch this season, with Jacob Herbers getting the first chance at replacing the reliable Ryan Santoso. Winfield is slated to handle punt return duties, and that could give a boost to an area in which the Gophers struggled last year. The Gophers are 17½-point favorites over the Aggies, who lost 29-7 to Wyoming in their opener. Based on talent, the Gophers should win easily. The interesting part of tonight’s game will be seeing just how well the youngsters play.